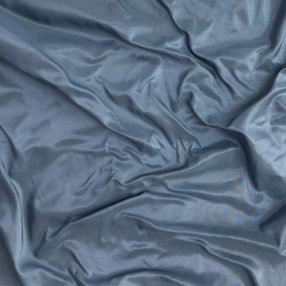 We are very excited about our new (and exclusive) French Blue silk taffeta! It is great for many eras, but is especially great for 18th century impressions. So very beautiful. Lovely weight and body. The ball gown will be stunning. The color is a little lighter than my monitor showed; it is closer to the ribbon color in the “good with” section. I like it even more than I thought I would. Well done!